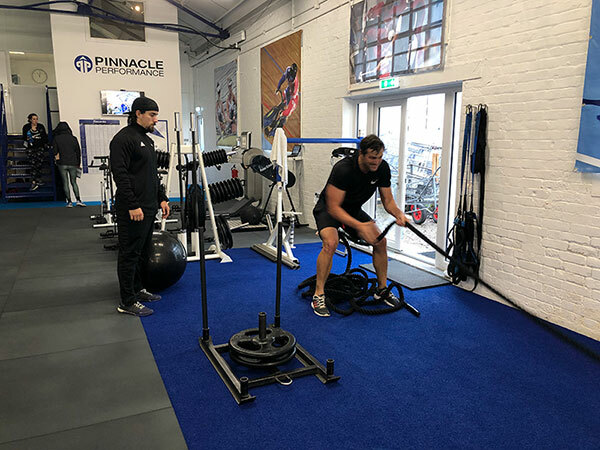 Pinnacle & Performance & Training aims to provide an industry leading marine athlete development programme to develop physical fitness for sailing and a host of other marine-based sports. At our facility you’ll find an unparalleled energetic and motivating training atmosphere that combines extensive knowledge and cutting-edge training principles. 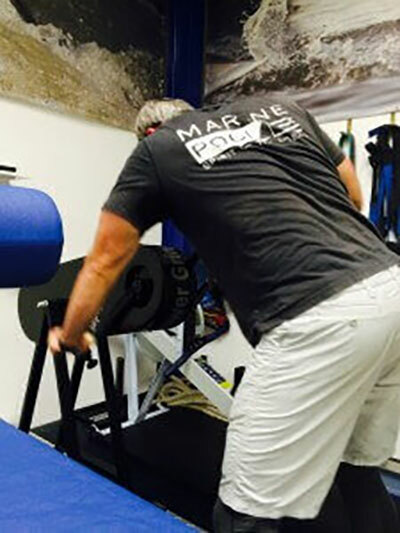 Effectively, Pinnacle Performance & Training is a very affordable one-stop shop for the complete development of the marine sport athlete. For sailing, the various boat classes, crew positions, racing conditions, and baseline fitness levels make it inappropriate to provide a uniform recommendation for fitness requirements. Consequently, training is tailored to the specific needs of each athlete, synthesising personal goals, physical characteristics, injury history and race scheduling. Whether you need to maintain fitness in the off-season or reduce training loads prior to regattas, training is meticulously devised and monitored to ensure peak fitness is attained when it’s required the most. Our Marine Athletic Development Programme is first class and we can boast helping various athletes to achieve their goal namely Louis Sinclair, Simon Fisher, Justin Slattery (Abu Dhabi Ocean Racing Team), Robert Greenhalgh (Mapfre Ocean Racing Team), Peter Greenhalgh (The Wave Extreme Sailing Series), Hannah Diamond (Crew – Nacra 17), Andrew Tarboton (Crew – 49er SA), David Bartholomew (Tokoloshe), Alexandrea Rickham and Niki Birrell (Scud), Kees Postman (Clipper), Joanne Hamilton-Vale (Sup).